If your Dad is a football fanatic, finding the perfect gift for Father’s Day is a simple formula. 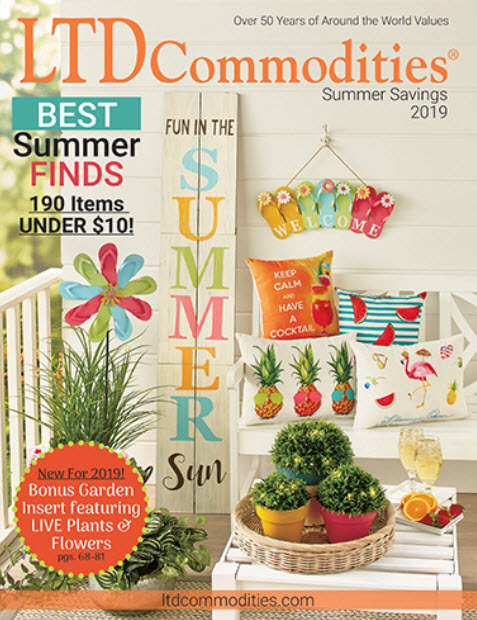 Just combine his favorite team with one of his favorite activities and you’re bound to discover a wide selection of gifts he will enjoy. Kick off your search with our Father’s Day gifts for football fans, and get yourself ready to go for two. In the summer sun, Dad’s going to need a way to keep cool. There’s no better way to beat the heat than with an on-the-go container for his thirst-quenching beverage. The 22-Oz. 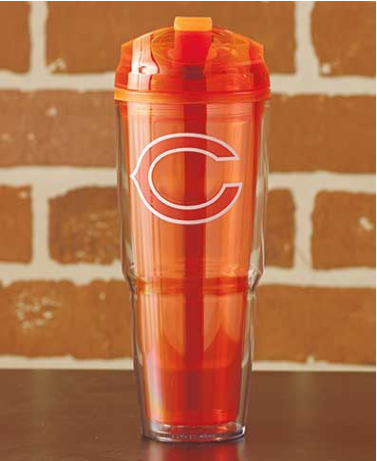 NFL Insulated Tumbler with Lid helps him stay hydrated while showing some team spirit. His team’s iconic logo is displayed on the front. The clear tumbler is double-walled to maintain the temperature of hot or cold drinks for longer periods of time. It has a spill-resistant, snap-seal lid and a unique design that’s great for taking in the car. Plastic. Dishwasher safe. 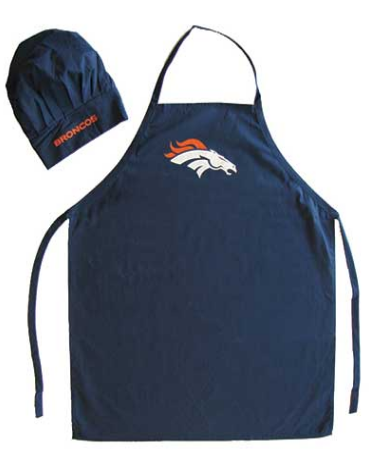 The NFL Apron and Chef Hat Set is a thoughtful gift for the football fan who loves to cook. Great for tailgate parties, backyard barbecues or just a laid-back day hanging out by the grill. The apron protects clothes from spills and stains and features his favorite team’s logo on the front. The long tie straps make it easy to adjust. One size fits most. The matching chef’s hat completes the look. It features the team name on the headband. Has a fabric-magic closure. One size fits most. Polyester and cotton. Machine care. Imported. Each team in the NFL has a rich history with tons of interesting information any fanatic will enjoy. 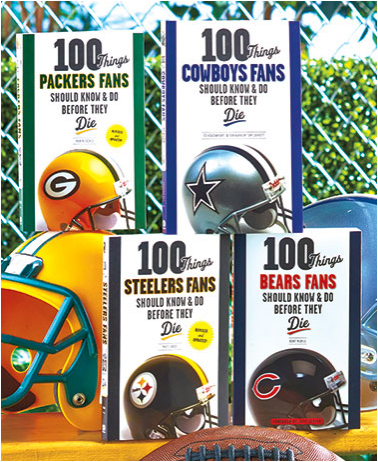 Packed with fun NFL facts and figures, 100 Things Football Fans Should Know is bound to impress even the most die-hard football fan. It distills their team’s history into an essential list of required knowledge. Lively and entertaining, the book covers the most important players, career achievements, signature plays and more. Softcover. Bears, 238 pages. Broncos, 321 pages. Colts, 330 pages. 49ers, 276 pages. Giants, 384 pages. Every Dad who prides himself on being a grill master knows how important it is to keep their grill in pristine condition between sessions, especially if it’s going to be exposed to the elements. 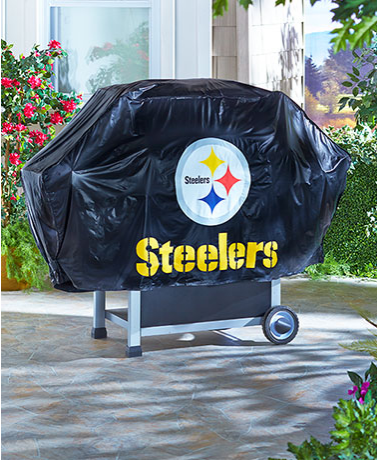 This NFL Grill Cover puts a protective barrier between his grill and the rain or damaging UV rays. The durable vinyl construction offers superior protection against all kinds of wear and tear. It withstands temperatures between -20°F and 140°F. Straps and tie downs help keep the cover secure. Includes a snap-close bag for storage when not in use. For some Dads it’s not all about the NFL. 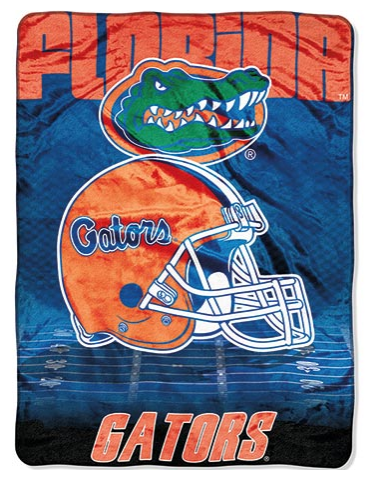 If he watches just as much college football or prefers the college game to the professional level, the Jumbo 60” x 80” Collegiate Fleece Throw is exactly what he needs for Father’s Day. He can cheer on his favorite team while staying warm at home, or bring it to the stadium for those really frigid bowl games. Whether he’s an alumni, a lifetime fan or both, he’ll appreciate this big, full-color throw that features the school’s name, mascot and football helmet. Polyester. Machine care. Imported.